The survey and additional interviews highlighted the central issues that researchers face when it comes to data management. They’re seeking solutions to integrate data from multiple analytical sources. They desire mechanisms to securely and accurately share data with colleagues and outsourcing partners. Particularly for those in industry, data integrity and better long-term storage and data retrieval were also important goals. This report highlights new initiatives and software that can help researchers respond to these important challenges. The persistent challenges in managing analytical data while the amount of data companies are collecting becomes greater and more diverse than ever. How the frequency of outsourcing data acquisition in industry has amplified data management issues, leading to many companies creating mechanisms for safe data sharing. 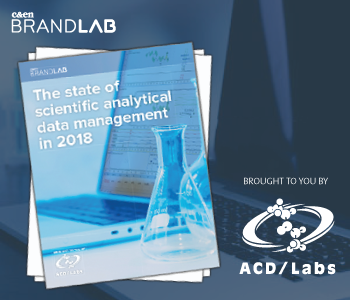 Benchmarks for laboratories and companies to evaluate their own analytical data management efforts.